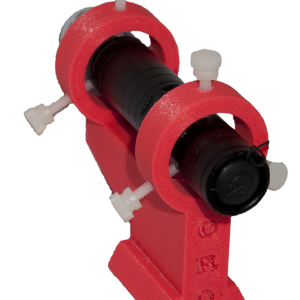 This NexStar hand controller holder mounts to the vertical post of the Celestron NexStar 6/8SE mount. 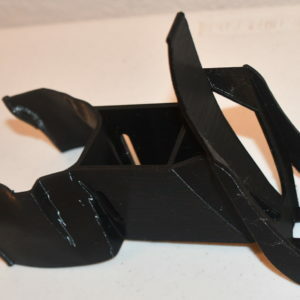 This two-piece holder includes a removable clip for the hand controller and a mounting adapter that snaps over the vertical post and straps on with a Velcro strap (included). 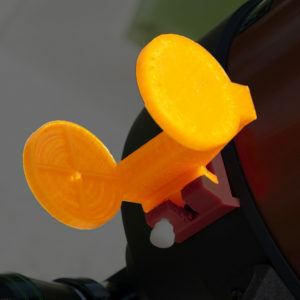 The mount is available in a variety of colors and is printed to order. NexStar mount, battery, and other components not included! 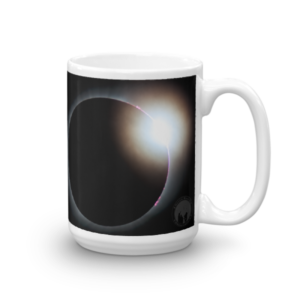 Revisit the 2017 Total Solar Eclipse every morning with this mug showing totality and the famous “diamond ring” view as the totality ends. 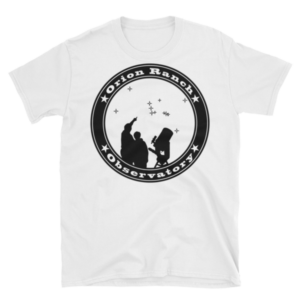 Commemorate your visit with an Orion Ranch Observatory logo T-shirt. This shirt is ultra comfortable, and its modern cut makes it stylish, too. The rolled shoulder gives it a better fit, and the double-stitched hems make it long-lasting – it should definitely have a spot in your closet! 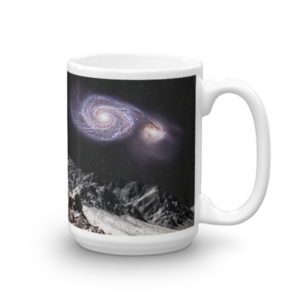 My first “astro-art” print, this image depicts the Whirlpool Galaxy as it might be seen from a nearby airless moon. This 36×24″ canvas print is sure to make a statement in any space. It’s hand-stretched on a poly-cotton blend canvas with a matte finish coating. 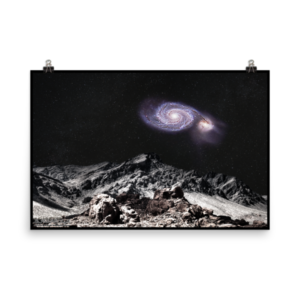 My first “astro-art” print, this image depicts the Whirlpool Galaxy as it might be seen from a nearby airless moon. 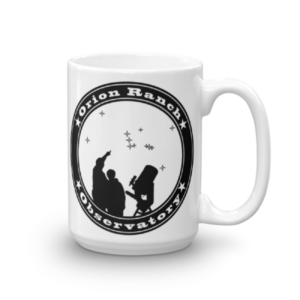 Commemorate your visit with an Orion Ranch Observatory logo mug. This sturdy white, glossy ceramic mug is an essential to your cupboard. This brawny version of ceramic mugs shows its true colors with quality assurance to withstand heat in the microwave and put it through the dishwasher as many times as you like, the quality will not be altered. 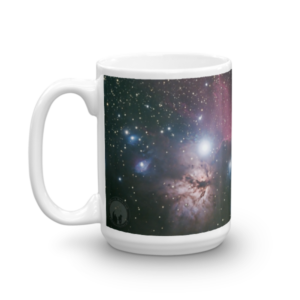 Wake up to one of the most iconic deep sky images of the Horsehead Nebula (IC 434) and the Flame Nebula (NGC 2024). 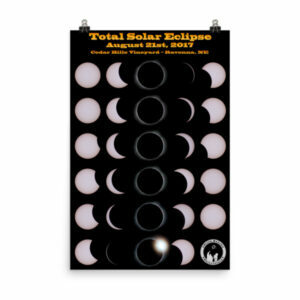 Immortalize the 2017 Total Solar Eclipse on your wall with this 2×3 format photo paper poster detailing the entire eclipse progression through totality. For a more detailed view of the poster, see this gallery photo. 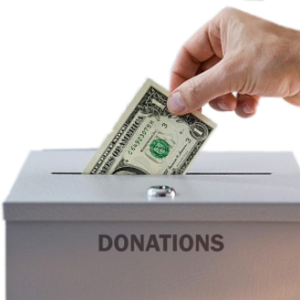 Comments Off on Thanks for Your Support!